You're investing good money into quality ingredients and produce. Soon enough on your meal prep journey, you'll be looking to expand your stash of meal prep containers. The right containers make meal prep that much easier. Which containers are best for you. What are the possibilities in containers and what are they used for? 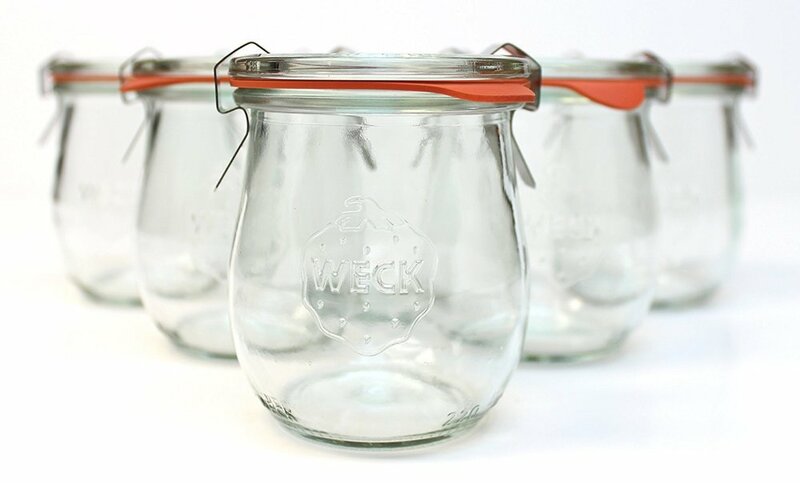 -- Weck jars. These are the jars that are ALL glass except for the rubber gasket. They come in a wide variety of volumes and shapes making them very versatile, BUT they are fussy with the need to store 1 gasket and clips and 1 lid for EACH jar. --Bento boxes. These come in glass or plastic with lids and usually provide three compartments for an entree and sides or for separate ingredients. When you have more than one item your meal just feels more complete. --Also, there are many easy-open/easy-close snap top containers. Look for a variety of sizes. They are great for storing single ingredients for choosing a little of this and a little of that when making dinner. --Stasher bags are self-sealing bags that measure about 7" x 7" x 1". They were created to replace plastic storage bags and are completely air-tight to keep food fresh. They are self-sealing, non-plastic bags, and are reusable as they are dishwasher, freezer, microwave and boiling water safe. The award-winning Stasher bag was created in response to the profound need for a healthy alternative to plastic storage bags and containers. --Finally, zip top bags are great for delicate herbs and lettuces. Wash, then wrap gently in a paper towel and store in your fridge for a week or so. Qualities to look for and avoid when buying containers. --Choose containers with tight seals. There's nothing worse than having spills if something tips in the refrigerator and/or a messy, leaking lunch bag to deal with in the car or at work. --Choose containers made of good materials. For home use, I recommend glass for several reasons: 1. 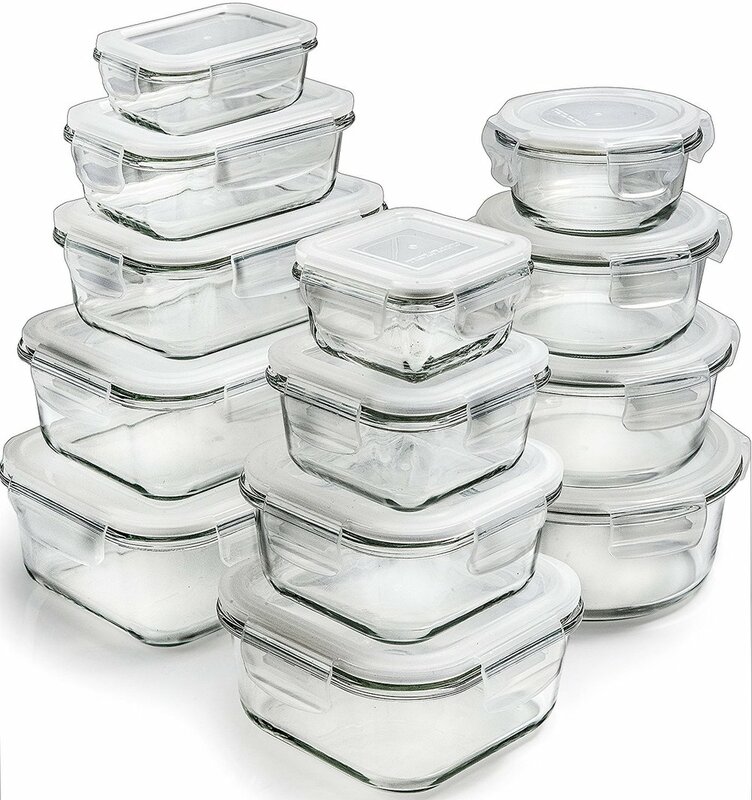 It is oven, dishwasher, refrigerator, and freezer safe; Note: Nearly all glass containers will still have a plastic or silicone lid, but if the bowl of the dish is glass, you'll be in good shape; 2. If you prefer plastic, be sure to choose items that are made of BPA-free materials. You don't want toxic substances leeching into your food. Nothing says ICK more than a half-melted, stained, plastic container. --Choose sizes and shapes that correspond to the uses you have in mind and whenever possible that are stackable in order to store in the refrigerator and the cupboards compactly. Here are some specifics to think about when choosing containers. Single serve-size for portions of stock, yogurt, oatmeal, sauces, etc. Jars are also great and can hold larger portions of soups, stocks, sauces, as well as smaller servings of sauces, dressings, and dips. If you are committed to regular meal prep, you'll have some idea how many containers you can keep in motion at any one time. For example, if you are prepping for three days at a time, you'll need one container per meal per person. That may mean you'll need several weck jars for oatmeal breakfast prep, several bento box containers for lunch to take to work and several ingredient containers if you are pulling from an array of ingredients for dinner preparation. Beyond what you are going to prepare, also make an assessment of how much storage space you have in your cupboards. Although your containers will theoretically be in use most of the time between prep sessions, there will always be a certain number that are clean and must be stored. In other words, don't do as I did. I got so excited about the possibility of meal prep, that I bought too many containers and ended up giving some of them away when I couldn't fit them all in the cupboards.